Mother of Lance Armstrong; author of "No Mountain High Enough: Raising Lance, Raising Me"
Linda Armstrong Kelly's life story is captivating audiences everywhere. Her son, seven-time Tour de France Champion Lance Armstrong, credits her as the unsung hero who assisted him in reaching his spectacular cycling victories - and in his triumph over cancer. Linda is Lance's role model. Linda's mission is to inspire, motivate, challenge, and entertain others. In her book "NO MOUNTAIN HIGH ENOUGH" (Doubleday, 2005), she writes about her early life as a teenage mother living in poverty, trying her best to do the right thing, while raising an unstoppable 10-lb baby boy. Her early life experiences helped form the values and positive attitudes that both she and Lance carried forward into adulthood. Her life is a lesson in self-determination and the far-reaching impact of a parent's positive involvement with a child. Linda fills her speeches with insight, wisdom, and warmth. She speaks about the philosophy that helped her meet life's obstacles and overcome them. A tireless advocate for children and survivors, she tells powerful and humorous stories about how children become who they are: what parents can do to inspire, support, and challenge their children, what it really means to kids to set goals and achieve them, and why accountability is so important. She can also speak effectively to timely and tough issues like teen pregnancy, single motherhood, domestic abuse, and substance abuse. She also challenges working parents to better support each other and work toward a corporate environment that better nurtures families. 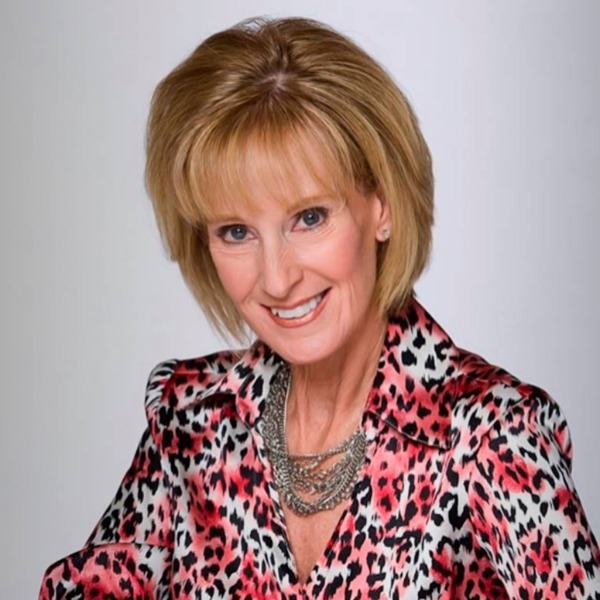 Linda believes that living with love and joy, maintaining focus, and risk-taking are at the heart of every successful endeavor - and that these things are the foundation for a life well lived. After spending 15 years with Ericsson Microelectronics (TM) as a global account manager, Linda is now dedicating her time to writing, public speaking, assisting nonprofit organizations, and fundraising. In 1999, she was the recipient of Ericsson's "Mother of the Year" award and was recognized as one of "America's most fascinating women" by Ladies Home Journal magazine. Her recent television appearances include "The Dr. Phil Show", CNN, and ESPN. She's been featured in national magazines such as People, The New Yorker, USA Today, Ladies Home Journal, Us, and Texas Monthly, as well as countless local newspaper, radio programs, and news shows. The unique energy that Linda brings to her audiences has earned her invitations to speak at such diverse venues as national cycling organizations and non-profit organizations, as well as the private sector. From the mother of champion cyclist Lance Armstrong - an extraordinary story of the resilience of the human spirit and the remarkable effect of great parenting. Lance Armstrong has dazzled the world with his seven straight Tour de France championships, his winning personality, and his poignant victory over life-threatening cancer. Yet the adage that "behind every strong man there is a stronger woman" has never been more true than in Lance's case. His mother, Linda Armstrong Kelly, is a force of nature whose determination, optimism, and sheer "joie de vivre" not only nurtured one of our era's greatest athletes but fueled her own transformation from a poverty-stricken teen in the Dallas projects to a powerful role model for mothers everywhere. This luminous memoir, written with humor and compassion, tells Linda's story of survival. Pregnant at age seventeen, kicked out of her home, and mired in an abusive relationship, Linda was a perfect candidate for disaster. But armed with a fierce belief in herself as a work in progress, and buoyed by a tidal wave of love for her little boy, Linda flouted statistics and became both a corner-office executive and a no-nonsense, empowering mom whose desire to excel was contagious. Her resolve to find "the Diamond in the Dumpster, the blessing in every bummer" set an extraordinary example for Lance - and will inspire everyday moms to dream big and make a difference. Funny, resonant, down-to-earth, and utterly unforgettable, "No Mountain High Enough" is exhilarating proof that sheer willpower can - and occasionally does - triumph over adversity. Fee Note: Linda offers discounts to Not for Profit groups. Please contact our office for more information.